Work with WeedenLaw and take comfort that your case will be represented professionally and prepared aggressively for a favorable disposition or a win at trial. Being arrested and charged with a crime in Colorado is often a terrifying, world-changing experience. One moment you are going about business as usual, and the next the police slap on cuffs and take you to jail, often with little explanation. You will be shuttled from place to place, forced to have your picture and fingerprints taken, and put in a holding cell with people who scare you. Some officers might bark questions at you, while others act as if they are your friends and want to help. The entire ordeal can feel disorienting and dehumanizing, and many people have trouble thinking straight. They are too busy trying to understand what is going on and how to make it stop. Will they go to prison? Lose their job? Lose some of their rights? Be kept from seeing their kids? Asked to pay fines they cannot afford? How will their family cope? 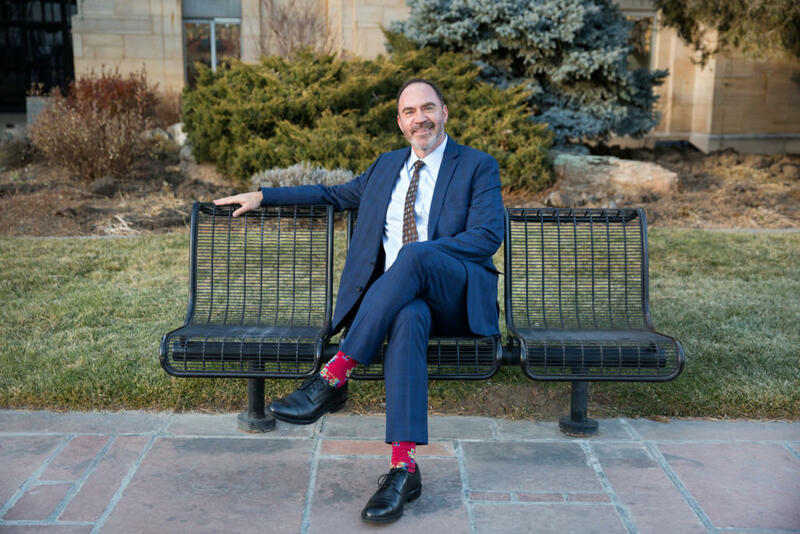 As a Denver defense attorney who has been practicing in the area since 2005, Jeff Weeden understands just how traumatic dealing with criminal charges can be and how difficult it is to think straight – especially in the beginning. Unfortunately, Colorado law enforcement officials know this, too. It is why they work so hard to get suspects to speak to them without a lawyer present. Most people believe that police and others are required to tell them the truth, but this is absolutely not the case. While there are certainly rules and protocols that they must follow, law enforcement has a lot of leeway when trying to get people to incriminate themselves and admit guilt. Do not let yourself fall into this trap. Reach out to Weeden Law the second you are arrested, charged, or learn that you are under investigation. We will work hard to protect you from both overzealous police officers and potential mistakes that you might make. Jeff Weeden believes wholeheartedly that there are two sides to every story, and that everyone deserves the right to a strong, aggressive defense from an attorney who cares about protecting their rights and fighting for their future. He has been able to help countless others over the years, and he is ready to go to bat for you as well. 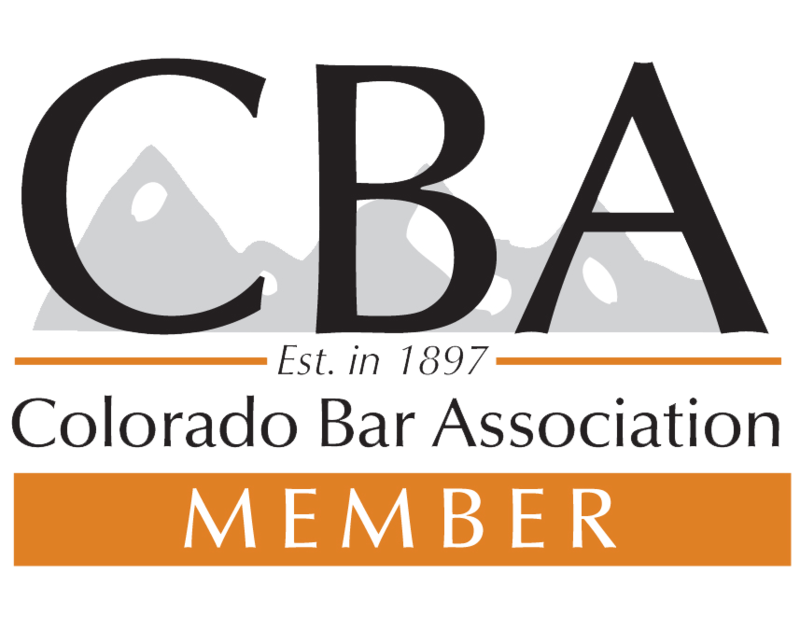 Over the course of his career, people from all over Colorado, including: Adams, Arapahoe, Aurora, Boulder, Broomfield, Denver, Douglas, Jefferson, Lakewood, Littleton, and beyond have decided to trust Jeff Weeden to help them reach a positive outcome in their criminal cases. Because he takes the responsibility seriously. If you decide to work with Mr. Weeden, you are putting your life in his hands. He knows this. Even with so-called “minor” charges where you might not face the possibility of prison time, the repercussions of a conviction can haunt you for years to come. You may lose your driver’s license, professional license, ability to possess firearms, or custody and visitation time with your kids. Simply having a criminal record can hurt your ability to get a job, find a place to live, secure a loan, and more. When Mr. Weeden takes on a case, it is not merely another job. It is a promise that he will work diligently and explore every possible legal option available to get your charges reduced, dropped, or dismissed. Because of the recognition he has received. One of the best ways to know if a defense lawyer is any good or not is to listen to what other people say about them and look at the recognition they have received. 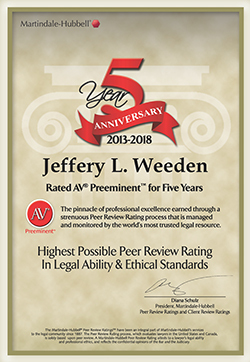 Since he started practicing law in 2005, Mr. Weeden has received quite a bit of recognition, including several reknowned peer & client rated awards. Because of his track record. Of course, awards are not everything. It is also important to look at how an attorney has done in actual cases. Here, once again, Mr. Weeden excels. If you take a look at his results, you will notice a litany of positive outcomes for clients. Charges dismissed. Rights retained. Protection orders denied. While it is impossible to promise a particular outcome in a case, working with someone who has a history of success is a great sign that they know what it takes to get the result you want – and get you back to living your regular life. Many people who do not have much experience with the law believe that, as long as someone is an attorney, he or she is qualified to take on your case. Think about it this way though. Would you go to a podiatrist for a heart problem? Or a cardiologist for the bunions on your feet? After all, they are both doctors, right? Of course, no one would do that. Because it takes specialized knowledge to deal with either issue. Well, the same is true for legal matters. If you are charged with a drug crime in Arapahoe or Boulder, you want to work with an attorney who has a track record of success dealing with Colorado drug charges. If you are facing an accusation of domestic violence in Adams or Douglas, you need the knowledge and skills of someone who has been able to help people deal with domestic matters. If you do not see your charge on this list and wonder if we can help, the best way to find out is to get in touch with our office and explain your situation. I thought my life was ruined as far as my career was considered. I called several lawyers, and got the old "You can't do that, or you're outa luck." routine from ALL of them. I called Jeff, and he said, "Try this and see what happens." Well, I tried it and it worked. Not only did Jeff give GREAT advise, he gave me the Strength and Motivation to Fight for what I wanted. He never told me something wouldn't work, or I couldn't do that. Jeff helped me get my beloved career back, and has ensured the happiness and well-being of me and my children. I am forever grateful for his time and his Go Get It kick in the pants he gave me. AMAZING human being. All lawyers should be molded after this Rock Star! Thank you SO VERY MUCH for returning to me a life and career I cherish. I LOVE YOU MAN! Jeff Weeden has done an amazing job in reaching out, listening, providing solid advice and helping me. I enjoy his upbeat personality, and also his ability to demonstrate his commitment to excellence and integrity in his work. Mr. Weeden has exceeded my expectations and I greatly appreciate his ethical hard work and dedication. Jeff is very compassionate and found ways to make us laugh or feel comfortable even when we were scared or emotionally drained. He is very knowledgeable, funny, and attentive. He kept fighting for us even when we lost all hope in the justice system. When we found a slight issue with our original sentence he went back to argue a second time and he pushed to an outcome well beyond our expectations, even better than the first due to our circumstances. Thank you Jeff! He is compassionate, with a truly unique ability to establish rapport, show empathy and connect with his clients from a wide array of backgrounds. In his communication with clients there is genuine thoughtfulness and a conscience attention to their needs. Extremely talented and intelligent individual in the legal field, holding an excellent reputation as a first rate attorney and highly respected among his peers. He has a strong reputation because he has earned the respect of those he comes in contact with in his law practice. Due to his professionalism, high integrity and determination to be a zealous advocate for his clients, I strongly endorse and would recommend him to anyone looking for the best attorney. I would refer anyone and everyone to him on a regular basis. Despite the fact that I have been a judge, magistrate, prosecutor, and private attorney for over 24 years, I continue to learn from him daily from his Avvo posts. I would recommend that you hire him in an instant. He is genuinely thoughtful and caring with his clients. His talent and desire to be an advocate for those he represents is shown by his zealous work. Among his peers he is highly respected, since he has earned it with his integrity and professionalism. I strongly endorse him and would recommend his representation for any client looking for the best attorney. When I first met Jeff, I knew he was the lawyer for me. He knew his stuff, was compassionate and put me totally at ease. He has a wonderful way of explaining all the legal mumbo jumbo in plain English and I knew he would go to bat for me and get the results I was hoping for. I would highly recommend him to anyone needing legal assistance! Having never needed a Criminal Lawyer before I didn't know where to go. Jeff was referred to us through a mutual friend. Not only did Jeff take the time to comfort a very frightened mother but he also took the time on a holiday to check on my son. Jeff was upfront and honest throughout this whole stressful process as to what to expect. He always had the time to answer questions or give explanations no matter how trivial they seemed. Jeff and all of the staff at his office were friendly, compassionate and helpful. I will be eternally grateful for his help. Hopefully we won't but if I were to need a lawyer Jeff would be the person I would call! Thank you for everything we will be eternally grateful. I will always recommend Jeff and his office to anyone I know that needs compassionate but honest help! 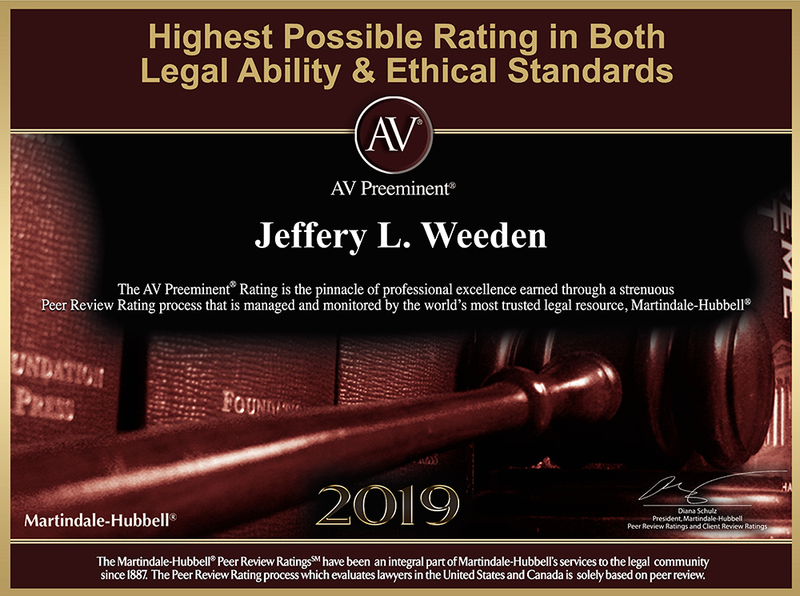 Frankly, I employed Mr. Weeden [at WeedenLaw] based on a recommendation from a Law Enforcement Officer – a telling example of the respect he has earned in his community. 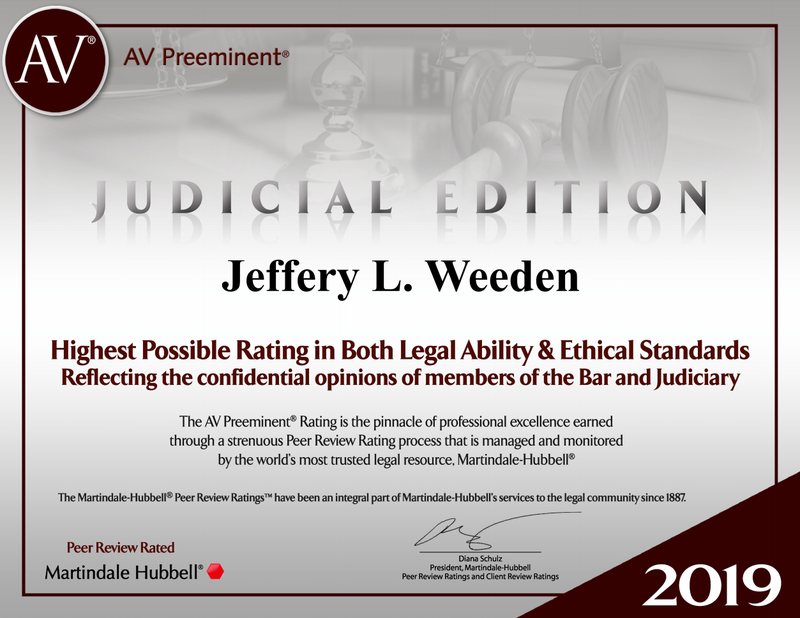 Honest, ethical, and personable, Mr. Weeden provided superb service to this client. I was very impressed by his professionalism, attention to detail, knowledge of the law, and, most importantly, his sincere interest in serving his client. My case went great and Jeff took care of me along every step!! For being younger and not one to get in trouble I was terrified of what had happened to me. When I hired Jeff I didn't know what to expect or anything out of a lawyer. As things progressed Jeff fought for me the whole way. We had trouble contacting the DA, but that didn't stop Jeff he kept writing and doing it in a professional way for he was constant but not annoying to the DA. In the end Jeff did everything I needed and wanted out of him. He consulted me along the whole way and made sure I was comfortable with what was going on. When I called asking for advice he always had great advice and seemed to actually care about my well-being also. With my family being a big thing in my life and who were also on my side through this whole thing Jeff worked hand in hand with my mother along the way making her feel part of the loop and also consulting with some other family members. Hopping this is my last encounter with the law I couldn't of chosen a better lawyer to fight on my side for the time I did have. Even to know he is always there to answer questions and checking up on me. Thanks Jeff!! 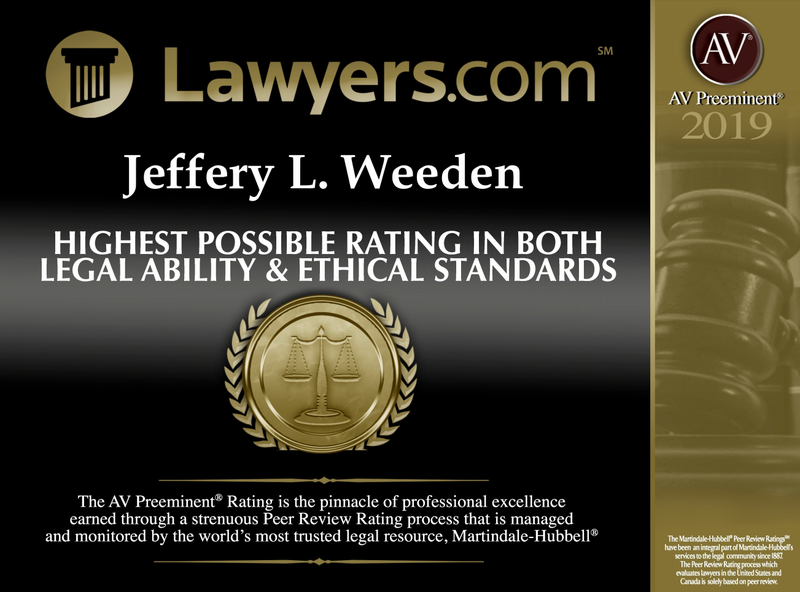 I would recommend Jeff [at WeedenLaw] hands down to anyone seeking legal counsel. He is extremely knowledgeable and hasn't lost sight of what the law stands for – not to mention his great comic relief! I believe justice was served in my case and I couldn't have done it without Jeff. I am truly grateful. I went to Mr. Weeden after I personally filed a petition to seal a charge on my record. The judge not only denied my petition but also stated that any future petitions would also most likely be denied. After meeting with Jeff he prepared and filed an exceptional petition to seal. I was still a bit worried because of what the judge stated in my original petition, so imagine my excitement when Jeff personally called me to tell me my petition had been granted. I no longer had to worry about not getting a job because of a mistake I had made when I was young. I am so grateful for everything Mr. Weeden has done for me. The best lawyer (friend) anyone could know. Jeff is the most warmhearted lawyer I have ever met who still remembers that his clients come first. He is compassionate, funny and made sure we were always comfortable even when times were tough. He kept pursuing our case to final resolution after we had lost all hope in the justice system. He never stopped fighting for us and came up with a resolution better than anyone could hope for. He is very knowledgeable, very easy to talk to, and he can explain the lawyer talk into terms that anyone could understand. We truly felt like he was one of our lifelong friends arguing our case. We are incredibly blessed to have found Jeff and that he was able to fight for a tremendous outcome. Thank you Jeff! Hiring Jeff Weeden as my lawyer was the absolute best legal decision I have ever made. From the beginning he took an interest in my case and kept me up on all the details and was straightforward with me on everything I might not have want to hear so I wasn't blindsided by it later in court, which is what you want in a great lawyer. I was facing multiple drug felony charges and he got it down to a single misdemeanor charge and very little probation time and I did had prior charges, which makes it especially difficult to get new felony charges down to misdemeanors. I remember walking out of the courtroom shell shocked at how well it went. The results that Jeff Weeden got me were so far beyond my expectations I'm still having a hard time believing it went so great. I owe him so much for getting me out of the felony charges which allowed me to continue staying in college. Anyone reading this must give him a call right away. He has proven to me that he is without a doubt the absolute best in the business. Make the right decision and call Jeff Weeden now!! I heard about Jeff from a friend of mine that used to work for him. I hired him on as my lawyer for a divorce. He was competent and took care of everything I needed in a very timely manner. He's a very straightforward person and a very honest and intelligent lawyer as my case did get messy. I will definitely recommend him to everyone I know needing a lawyer and I will be hiring him again if I ever need to. Jeff did an excellent job handling a very delicate matter for my business. His legal advice was quick and right on point. He was able to maintain a level of respect and courtesy to all parties involved while firmly ensuring that my best interests were upheld. Mr. Weeden was a Great Help! Mr. Weeden responded to my email immediately. He understood the problem with the summons and said he would try to talk to the clerks in the courthouse, I'm in Texas and he is in Denver. He did that and avoided having to show up in front of the judge. I was able to pay the fine online. I would recommend him highly. I found Jeff through a local friend when my sister needed legal help, and as her family, we were completely helpless being a considerable distance away. It was a painful ordeal for our entire family, especially for my sister who was scared and had no idea how to fix her situation. The end result — Jeff was completely able to "fix" her problem — that was the most important thing and the reason we retained his services. But beyond the satisfaction of the end result, he was so incredibly kind, patient and caring toward my sister. She was very vulnerable and fearful after what happened to her. I knew she was in good hands as Jeff felt more like a family friend, than just a lawyer. In general, people like this are hard to find....but these qualities are even more appreciated when seeking help with legal counsel. I highly, highly recommend Jeff. When my son needed an attorney, I wasn't sure where to turn. When he introduced me to Mr. Weeden, I understood why my son excluded all of the other attorneys, insisting on Mr. Weeden. Jeff Weeden has a good 'bed side manner'. He is optimistic, without leading us into false hopes. He insists that we read and inform ourselves of all the documents — and possibilities, pertaining to the outcome of the case at hand. I appreciate the time, focus and the effort that Jeff Weeden put into my son's case. He is an attorney that is also a real person. I would recommend, as well as use Jeff Weeden if I should ever need to. Jeff assisted me with a very delicate matter that could have had a negative impact on my business. He maintained a positive attitude and treated everyone with respect while ensuring that my business was protected. All parties were able to walk away from this without any hard feelings. I was recently part of a Domestic Violence Case. My case was insane. I had never been in trouble before and couldn't believe what I was being accused of. I found Jeff off of this website and he is well worth his ratings. He was extremely blunt and realistic about my tough situation. I trusted he knew what he was doing. We went all the way up until the week of the Jury trial and I got a phone call two days before the trial...case DISMISSED! I couldn't be more happy about the outcome and Jeff Weeden's work. I would highly recommend him to anyone in need of his services! Jeff fought hard a got the dismissal that I needed! 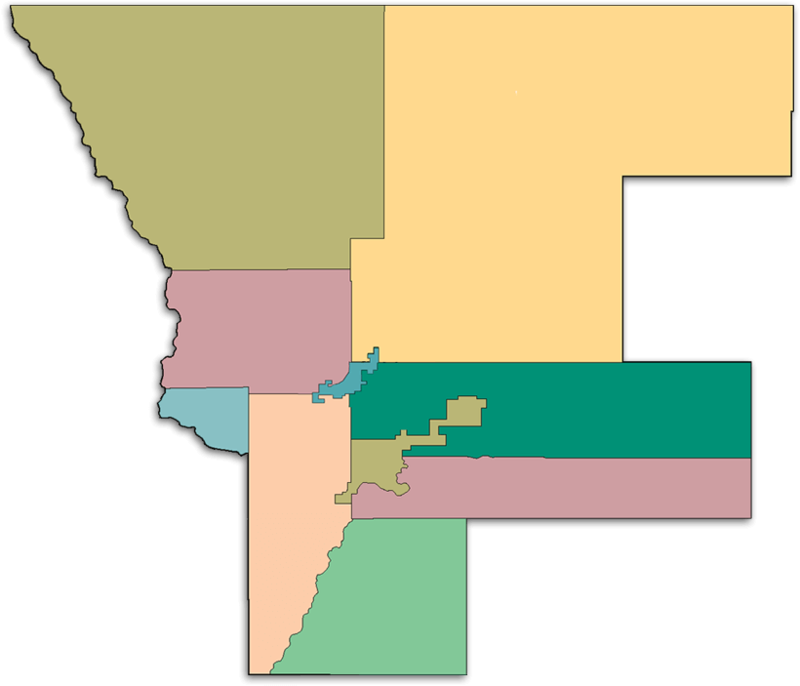 I was facing a revocation for a separate case in another county and looking at 90 days. Jeff knew the only outcome that I could take to avoid this was a dismissal or found innocent. Jeff fought hard a got the dismissal that I needed. This was a very stressful situation and Jeff walked me through the process in an extremely detailed oriented and straight fourth manner. He always responded to my calls and emails very quickly when I had concerns or questions. He even got back to me on Thanksgiving! I couldn't have asked for a more professional and caring attorney. Jeff did a great job handling my misdemeanor case in Arapahoe County. He is very honest and gives straightforward advice; in a way that demonstrates he really cares about his clients. Jeff was always very quick to respond to my questions by email or phone; and I had a lot of them. In the end the case was dismissed, which is an outcome that far exceeded my initial expectations. If you need a great defense attorney Jeff is the guy you want working for you. Jeff did a great job for us. He was honest, direct, competent, professional, and there was no BS. Helped us through our process with great success. I contacted him online at 8:30 on a Saturday night because we had court that next week and he called me that Sat night!! We talked it through on the phone and had court that week where he really went to bat for us. Not just a great attorney but a genuine man. Thanks for everything. My son was charged with domestic violence. It was very disconcerting to be in a situation like this. Jeff kept us informed and took the time to explain all of the options available and got my son a plea deal that kept him out of jail. Thank you, Jeff! I've been charged with a crime of which I've been innocent. Through his expertise and knowledge Jeff successfully helped to bring about the eventual dismissal of the charges. During the case Jeff gave good advice to me and my family that helped bring about the dismissal. Thank you Jeff for your help. We were being hounded by a detective who wanted to "just talk" to my 18 year old son, "to get his side of the story." We called Mr. Weeden and he counseled us not to speak with the detective at that time. He took over and a weight was lifted off our shoulders. He made us feel comfortable, he answered all of our questions, he even gave us his cell number. I sent him a couple of texts and he always responded promptly. I found Mr. Weeden on Avvo and I am so happy we did. I would highly recommend him! What can I even begin to say about Mr. Jeff Weeden? He has played a major part in saving my life and putting me on a path to recovery and self-realization. He has helped me become the person I am meant to be. He is an amazing lawyer. He is professional, polite, and puts his clients above all else. He is a true friend, and one of the best people I have ever met in my life. I highly recommend him to anyone who needs his help. Thank you for everything you have done for me Jeff. Back in February of 2015 I was wrongly accused of sexual assault and sexual harassment. These allegations had no basis of truth to be founded on. Never having committed a crime in my life left me confused on what to do. Through diligent search I found Mr. Weeden, and after an initial consultation immediately knew he was my best chance of getting this resolved. The dilemma lasted about a year in which case Mr. Weeden kept good relations with not only me but also the prosecuting District Attorney so as to keep negotiation lines open. Although very kind and polite to the DA he had his game face on when it came closer to trial and was ready to fight tooth and nail for my life. He worked with me in retaining a private investigator to do all the investigation that the police department had unlawfully neglected to do which led to my unnecessary arrest. Both Mr. Weeden and my investigator Richard Webb were able to contradict the accusations made against me with a plethora of evidence and witnesses that ultimately led to an almost impossible dismissal. If it were not for Mr. Weeden's hard work I would possibly be unjustly convicted and in prison. He worked hard and in doing so brought light back onto my future. Above we mentioned how law enforcement officers love talking to suspects before they get a lawyer and how having Mr. Weeden by your side can short-circuit these types of tactics. Well, that is only one reason it is so important to reach out to Jeff Weeden quickly. He will be able to collect specific types of helpful evidence that may be impossible to use after a certain amount of time has passed. He will be able to coordinate with the various official offices to track down records, evidence, and more. He will be able to locate witnesses and be able to bring them in. He will be able to bring in an expert, if necessary, to testify in your favor. Bottom line? More time makes it more likely that he will be able to put together the best possible defense for you. So, stop delaying. Get in contact with our office now for a free consultation by filling out our easy online contact form or calling 720-307-4330. In a criminal trial, the burden of proof always falls on the government—prosecution—who must prove criminal charges against a defendant. In the United States, a defendant is always presumed innocent under any and all circumstances until found guilty under the Constitution’s 5th and 14th amendment protections of due process.